In 2010 Rob received a BSc(Hons) degree with first class honours in Physiology from UNE and received his PhD in 2016 for his thesis on Physiology and Pharmacokinetics. 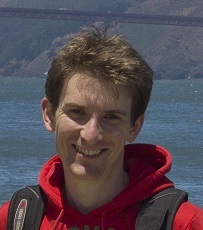 Throughout Rob’s Honours and PhD study he was involved in teaching in practical classes for various Biomedical subjects and in the later part of his PhD he was also employed as an Associate Lecturer in Human Biology and Physiology before joining UNE in 2015 as Lecturer in Biomedical Science. Rob’s research has examined the distribution and effects of a protein hormone, leptin, which is important in the regulation of appetite, reproduction, energy homeostasis, the development of obesity and metabolic syndrome. Rob’s research interests include hormonal regulation of homeostasis, pharmacokinetics, and the gut microbiome.